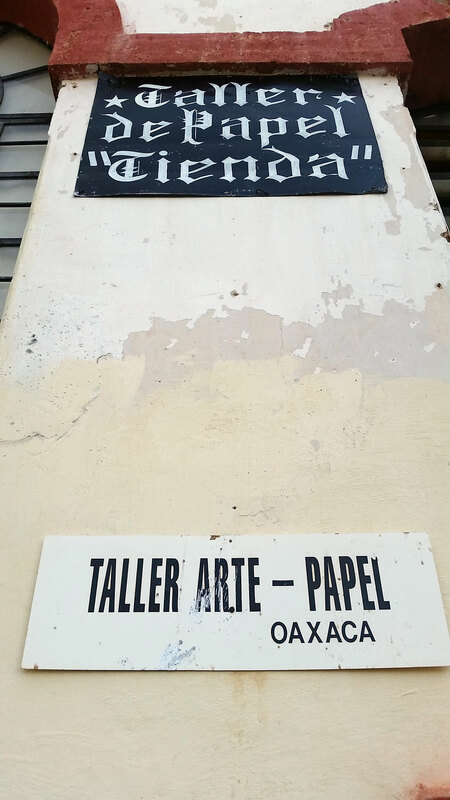 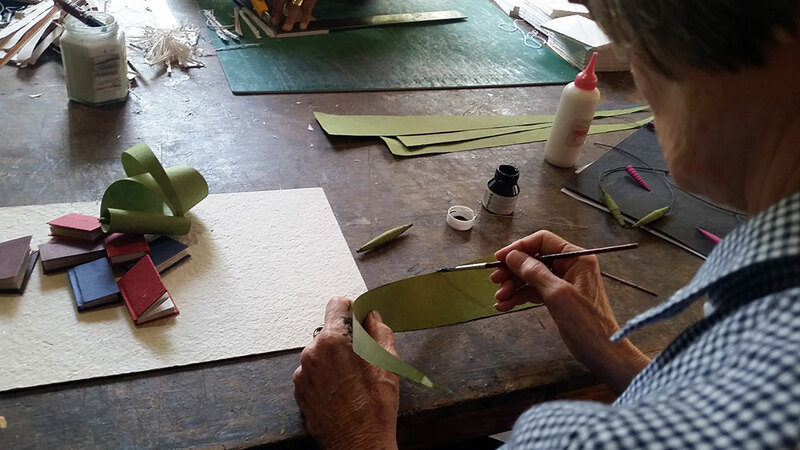 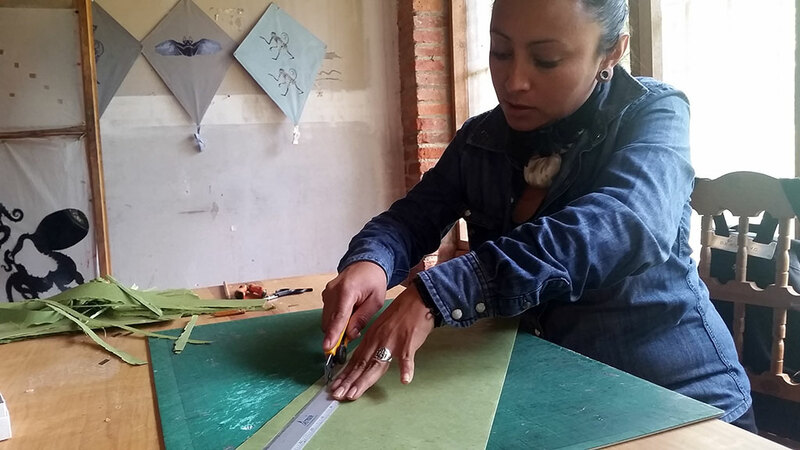 El Taller Arte Papel of Oaxaca is a paper-making cooperative founded in 1998 by Francisco Toledo. 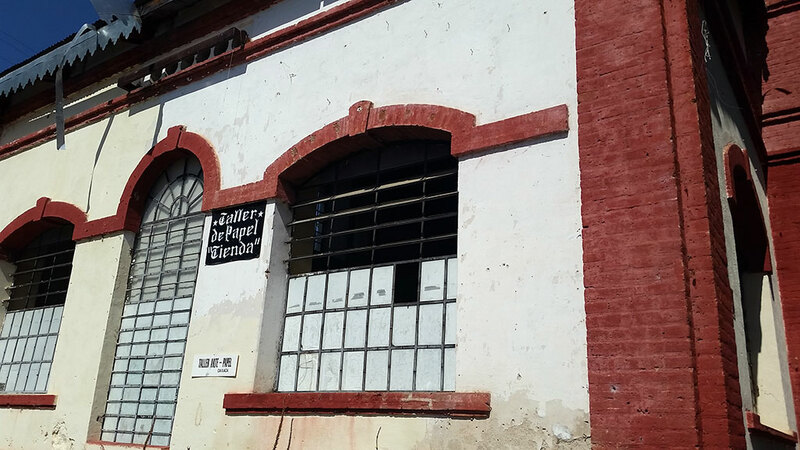 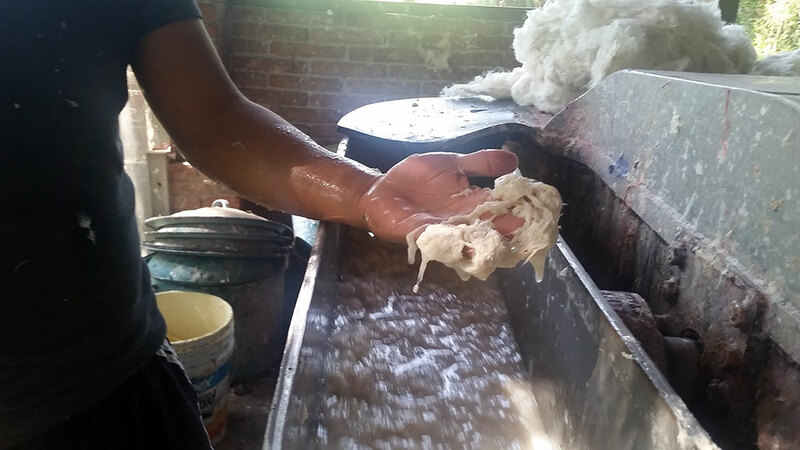 After refurbishing the former Hidroeléctrica La Soledad, a 19th century hydroelectric plant that once provided all of Oaxaca’s electricity, Toledo set up the Taller in an effort to teach paper-making techniques to the locals and to provide work. 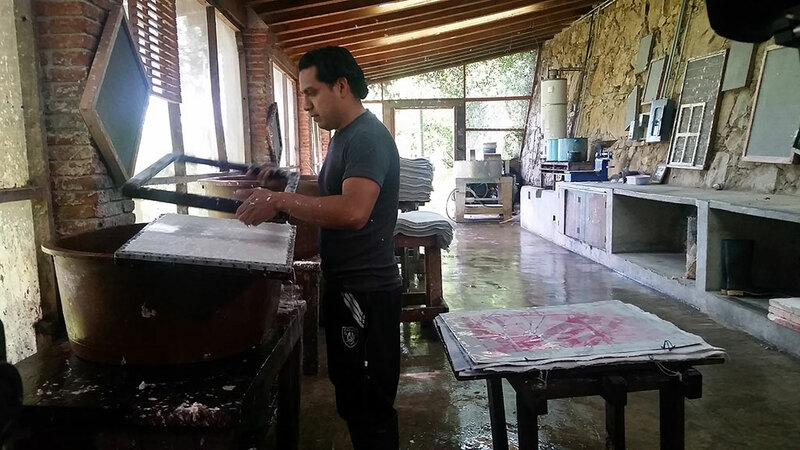 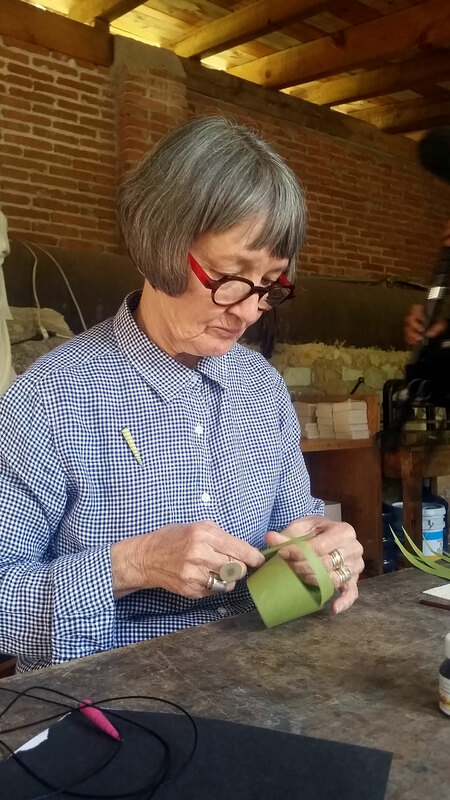 Paper is made without contaminants using fibers and other natural ingredients that are renewable and available locally, like pochote, coyuchi, hemp, silk, linen, and mica. 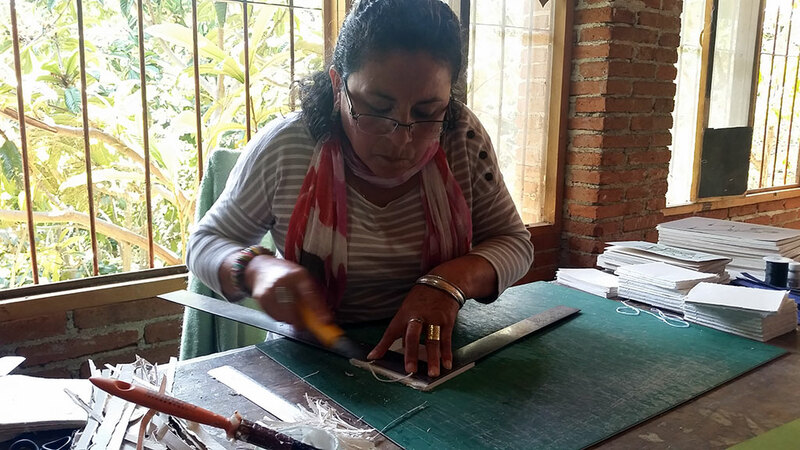 Artisans work every step of the process from start to finish: separating and cleaning fibers; making pulp; molding pulp on screens; extracting water by mechanical press; peeling sheets from drying trays; ironing individual tissues of paper; cutting out designs by hand; and stringing papeles into a banner.